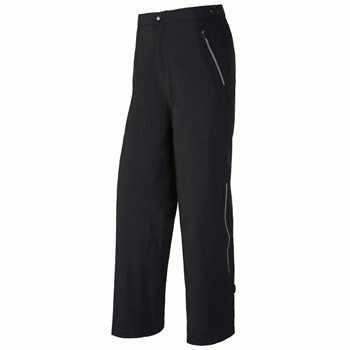 VELCRO® PANT BOTTOM - Extra long 5" Velcro pant bottom allows for convenient length and fit alterations. ADJUSTABLE WAISTBAND - The adjustable gripper waistband ensures a comfortable non-slip fit. EASY ACCESS ZIPPERS - Waterproof pocket zippers allow for easy access with reach through hand construction, while protecting you from the elements.